Christa Watson of Christa Quilts fell in love with quilting back in 1994 and never looked back! She is now known as an authority on machine quilting and has two recent book releases to support her passion, Machine Quilting with Style and The Ultimate Guide to Machine Quilting (co-authored with Angela Walters). Christa’s debut Aurifil thread collections pull from her go-to thread 50wt threads in Colors and Neutrals. These collections are the perfect companion for any quilting project! To view this info on our website, click the image above. For purchasing, please contact your local Aurifil Dealer. Can you tell us a bit about yourself and how you first got started in the world of quilting? Fast forward to my early twenties, and my quilting journey started when some church friends invited me to tie quilts for charity. Exploring the fabrics, and making each hand-tied stitch was the most fun, tactile thing I’d ever done. One of these friends invited me over to her house to make a quilted pillow a few weeks later, and I was hooked! It was love at first stitch. I clearly remember my friend showing me how to use her machine which was some brand I had never heard of before – a BERNINA. All these years later I am still a loyal BERNINA fan and I’m also a brand ambassador for the company. Of course, what comes around goes around, as I discovered many years ago, when I found my young children gleefully sticking straight pins into the holes of my new sewing machine! Do you remember the process of creating your first quilt and how you felt once it was finished? My first quilt was made for my husband Jason – a simple nine patch made for his birthday during our first year of marriage. (That was 22 years ago!) I remember making one block at a time, with a sewing machine borrowed from my mom. I didn’t know anything about using quarter inch seams, so no two blocks were the same size. But I remember feeling so proud as each block came off of the machine, and he still uses that quilt to this day! I’m kind of embarrassed to share it, but it just goes to show I’ve come a loooong way in my quilting journey! I have to give my mom credit here for not punishing me for playing with her pins, buttons and scraps when I was younger. Although it took me awhile to finally find sewing, she was always encouraging me in my crafty endeavors growing up. We tried everything from potato stamp carving and candy making to ceramics and crochet but none of them ever stuck. When I finally found quilting, she was eager to be my first quilting student, which then led me down the path of making quilting my career. After all, if you can teach your mom to do something fun and rewarding, you can teach anyone, right?? What do you love most about the art of machine quilting? I love seeing the hand of the maker in one’s art, and I enjoy the fact that I can give my quilts a final layer of texture and design, using my own hands. Moving the quilt under the machine is a very meditative process for me, and I don’t worry about perfection as I form each stitch. It all goes back to that tactile quality which I love so much. You released your first book, Machine Quilting with Style last year, and recently released your second quilting book, The Ultimate Guide to Machine Quilting, co-authored with Angela Walters. What was the process of writing those books like and what did you love most about them? In both books, I’ve been able to include patterns for not only how to piece the quilts, but how to quilt them, too, so they are both like two books in one. From the start, when I began teaching quilting on a regular basis, I would take my students through the entire process of making a complete quilt, from start to finish. Writing both of these books has allowed me to take the teaching process I developed over the years and put it into book form, with the enthusiasm and encouragement I offer in my live classes. Working with Angela on the second book was a fabulous experience. She quilts on a long-arm while I quilt on a sit-down domestic machine, and we both agree that it’s so important for our readers to have fun and not stress while they discover the type of quilting that appeals to them the most. Do you have a favorite project from the book? My favorite quilt from Machine Quilting with Style is Facets. It was the first quilt I designed for the book and once I came up with it, I knew I was onto something. It allows you to combine both walking foot quilting and free-motion quilting, which is my favorite way to quilt. My favorite quilt from The Ultimate Guide to Machine Quilting is Swirling Butterflies because it’s the first time I made a wholecloth quilt. I really stretched my skills with that one, and I love that both books offer a wide variety of designs for all skill levels. Both quilts were entirely pieced and quilted with Aurifil thread, of course!! If you could recommend one pattern that would be an excellent starting point for machine quilting beginners, what would it be and why? I would recommend Little Man’s Fancy from Machine Quilting with Style, quilted with “shattered” straight lines. The one block quilt is fast and easy to make and the size is easy enough to handle under the machine for the first time out. Straight lines are quilted haphazardly allover the quilt so the process is super fun and fast and there’s literally no way to mess it up. Whenever I teach beginners I always like to start with walking foot quilting because it gives them the confidence that their quilts can look great with minimal practice and effort. Then, once I have them hooked, I ease them into gradually more complex designs. When did you first discover Aurifil threads and what do you love most about them? Do you have a favorite color/weight? I’ve been using them since the summer of 2013 after I kept seeing the name pop everywhere on social media. In all my years of quilting I had never found the brand that was right for everything I wanted to do. When I noticed that all my friends and those I follow were raving about them on social media, I had to give them a try. Once I did, I quickly cleaned out my thread stash and got rid of everything else! In fact, I know the date because I wrote about them on my blog for the first time here. Christa loves matching her threads to her fabrics! I love all of the colors of the 50 weight cotton because I can use them for everything I do – piecing, quilting and binding. I like to use matching or blending threads when I machine quilt, so only storing one type of thread for everything really simplifies my quilting life. Plus, any leftover bobbins from machine quilting can be used when I piece or bind my next scrappy quilt. For me, that means no more wasted thread and tons more sewing efficiency! How did you go about selecting threads for your Piece and Quilt Collection, and what excites you most about the range that you are presenting? When I first set out to curate my collection, I took a good hard look at the colors I used the most in my own work. When I finally narrowed it down, I realized I had two collections – Colors and Neutrals. As the name implies, these 24 spools can help you make all of your quilts. The colored assortment includes the entire rainbow spectrum so there’s a color for everything. And you’d be surprised how well the colors will blend, even if it’s not an exact match. The neutrals include my favorite white and cream, my favorite “almost” black which shows up better on black fabric than pure black, three shades of gray (light, medium, dark), and a range of 6 other neutrals which fill in the gaps. I’ve been experimenting over the last few months, using only these colors from both collections and so far, they’ve been all I need. Like I said, I love simplicity and I hope you will, too! Christa was the Aurifil Designer of the Month for March 2016. Click on the image below to download her block pattern and learn more about the DOM program! To enter-to-win 1 Large Piece and Quilt Aurifil Thread Collection + your choice of either Machine Quilting with Style or The Ultimate Guide to Machine Quilting, click here to head to the Rafflecopter entry page, or simply click on the image above. You do not have to complete all the options to be entered but the more options you choose, the more entries you have! Entries will be accepted from now through 11:59pm Eastern Time on Wednesday, October 26! Winner will be randomly selected and announced here on Thursday, October 27. Good luck! Update: This Giveaway is now closed. Thank you to all who entered and Congratulations to our winner, Donna Cutting!! Christa Watson is an award winning quilter, pattern designer, EQ artist and author who loves to teach others how to successfully quilt on a home sewing machine. She considers herself a cheerleader for the DIY modern aesthetic. She’s heavily involved in both modern and traditional quilt guilds and loves to encourage everyone to enjoy the style of quilting that appeals to them. Christa lives in Las Vegas, Nevada with her husband and three children who all think it’s normal to have a house full of fabric. Visit her at ChristaQuilts.com. My favorite thing about machine quilting is the endless possibilities! One of my favorite things about machine quilting is my machine quilter–I love the feeling of companionship I have with her. I love being one with my quilt and machine. I haven’t done a lot of machine quilting, but Christa is inspiring me to try it out! I love the feeling of completion, I love my private time, I love that I have so many choices in the way I can make one quilt look, I love everything about it. It is my VERY FAVORITE PART. 🙂 Can you tell? Saves time, when everything is working the way it should. Great interview. Love the Piece and Quilt collections! I love the play of colors and thread. And it’s therapeutic, too, to get pulled into the design, letting the quilt tel you what comes next. I really like machine quilting my own quilts with walking foot quilting. I just use straight line quilting, what I call “S” curve, decorative stitches, cross hatch….the list goes on…..I too have started using Aurifil thread from reading all the great words about it on the different blogs I read. I love using it for my walking foot quilting. I enjoy the total creative process involved in creating a quilt. My favorite thing about machine quilting is the wide variety of looks a quilter can achieve with different designs, threads, etc. Love Christa’s work! I have mastered straight line quilting, but have a long way to go with free motion. I would love to have one of Christa Watson ‘ books and Aurifil is always welcome in my studio. My favorite thing about machine quilting is being able to see the progress in my skills in a short period of practicing a new FMQ design. Such yummy colors! I’ve not tried this thread and would love to give it a go! I love machine quilting and the sense of accomplishment it gives me. The thread colors are all great! My favourite thing is what Christa called the meditative experience when machine quilting. Better than therapy! I love to see the depth that machine quilting adds to a quilt. It’s sometimes challenging to know where to start and what design to use. Free motion quilting can be great if you know where you want to go on the quilt. I;m evolving from the “doodling” process into more sophisticated designs and it takes more patience and time. I don’t have to pay or wait for it to be done and then be disappointed with the results! Congratulations Christa, these are great collections! My favorite thing about machine quilting is the texture it adds to the quilts. It is all amazing, but the textures created and the freedom of whatever way you choose is okay…there is no wrong way! It is all your creation! I love being able to create something that didn’t exist before I made it! My favorite thing about the quilting process is improving little by little as I practice, practice, practice. Must say I am most comfortable with walking foot quilting. Well… I am so new at it that it is hard to say my favorite thing. I love how the walking foot does its job. My quilt would be a mess without it! I like being able to say that I made the quilt entirely by myself. Since I have a large extended family, machine quilting helps me quilt the quilt faster than when I was hand quilting. My favorite part is knowing that I am creating something that will hopefully be loved for years! My quilts are no where near perfect yet, but I am learning more with every one! I love the texture quilting adds to a quilt. I love being able to create the whole quilt. My favorite feeling about machine quilting is just getting it done. My favorite thing about machine quilting is watching as the motifs create such wonderful dimension. I use Aurifil, my favorite thread for *so* long, for all of my piecing and quilting, as it works so well in my machine and looks so good. My favorite thing about machine quilting is making the texture that the stitches create!! It’s so addicting!! My favorite part about machine quilting…it means you are almost finished with a project a few more steps and you are done. Cheerful thread collection. My favorite thing about FMQ? Using thread and motifs to create more interest and beauty in a quilt. I love machine quilting because it provides such a professional looking finish to a quilt. Plus, once I finish the top I want to finish the whole quilt and it’s fast! Freedom in making any design. I haven’t done a lot of machine quilting-straight lines with my walking foot-I had to practice stitching in the ditch too! Soon I hooe to do free motion quilting(I have been practicing)-I love everything about machine quilting! my favorite thing about fmq is the endless possibilitys. I like to know that I did the whole quilt myself. Such a relaxing feeling while quilting a quilt. thanks for the giveaway. What I like is how machine quilting adds an extra layer of design to the quilt, while pulling or putting the quilt together. Finishing the quilt and the sense of accomplishment of doing it myself, plus seeing how the quilting enhances the quilt! Love everything about FMQing! Maybe the planning is the most fun! These Aurifil Threads in your collection are so beautiful! Thanks to You+Aurifil for a great giveaway! My favorite thing right now about machine quilting is exploring different techniques – walking foot, rulers, FMQ. I’m still learning! My favorite thing about machine quilting is that I can actually do it, haha. I agree with you: machine quilting is your personal creative signature, and the process is a meditation. I like doing waves! Still have a lot of learning to do! I love how much faster it is than hand quilting. My first several quilts I hand quilted. With machine quilting, I can get them done so much quicker and I am proud of my expanding skills. I love to machine quilt my quilts to accentuate the personality of the quilt and have it come to life and 3 dimensional! I love it when I quilt a design out and see the overall effect it has on the piecing. I like machine quilting because I can finish it on my terms and time. My first quilt was similar to yours. Hand cut, machine pieced. No idea about 1/4″ seams. It was a high school graduation gift for my sister. I love quilting my own quilts and do so with either my walking foot or with free motion. There is nothing better than knowing the quilts you make were made start to finish by you. I love being able to take a project from start to finish by machine quilting it myself. Right now, though, all I know to do is straight line quilting. I hope to get better and learn how to do more, though! What I love best about my machine quilting, is the wonderful sense of accomplishment I get!… I’m doing something that is creative, engaging, and so much fun (! ), and end up with a beautiful/useful/thoughtful token of my love/esteem for the quilt’s recipient!! That really works for me!! My favorite thing about machine quilting is the way the quilting adds so much dimension to the quilt. I am hungry to learn lots form you on line and in your books. I’m still learning, but loving the possibilities. Great collection!! Love the colour box of thread! Honestly, machine quilting is my least favourite part of the process. I need these books so I can improve my skills. My favorite thing about quilting is coming up with the secondary designs. I am just learning, but I like being able to change things up on a whim! I like the feeling of beginning and completing the process myself, but I’m still learning how to fmq. I really like the magic that happens in just a few minutes as the quilting changes everything! My favorite thing about machine quilting is the speed – much faster than hand quilting! My favorite thing about machine quilting is it is very cheap therapy. It really makes you forget everything going on around you!!! Enjoyed the article on Christa Watson — her quilts and quilting. The thing I like best about machine quilting is that it means soon, someone will be snuggling up under a finished quilt! Congratulations on getting your own thread Christa! Just love creating wonderful patterns on my quilts with this beautiful thread. I enjoy being able to complete the quilt myself so much quicker than hand quilting. I love the zen of quilting with my walking foot ~ it gives the quilt a very classy, yet modern look! My favorite thing about machine quilting is the feeling of acco,plishment. I love the idea of just being creative and not worrying “too much” about being perfect, especially with wiggly lines and swirls…I can just sew and enjoy the process. Christa, I love your Aurifil March block and made a baby quilt using it. It turned out great! I like that there are so many different styles and techniques! I am enjoying exploring to find out which are my favorites. I enjoy being able to complete the quilt myself so much quicker than hand quilting. Thanks for this wonderful chance. Beautiful thread colors! My favorite thing about machine quilting is the sense of accomplishment that I’m finishing up another quilt for someone I love. Thanks for the giveaway! My favourite thing about machine quilting is the variety! You can just slightly change it up each time and have millions of different looks!! I’ve known Christa quite a while now and I might be one of those people who told her Aurifil was it! She inspires wherever she goes. As President of the Las Vegas Modern Quilt Guild, she revitalized a group of quilters who will thank her forever! I’ve been Free motion quilting on my domestic machine for quite a while but when Christa came along I saw possibilities I had never thought of. The process of start to finish done by my hands alone is what drew me to machine quilting. My favorite thing is how the quilting changes the look of the quilt top. I love the texture quilting adds! I must practice more. I wish I were better at it but I do love experimenting and all the beauty it adds to the quilt. My favorite part of machine quilting is the speed you get things done! I am a reformed hand quilter who found I had so many things I wanted to create, but wanted to get them done! The creative process, perfecting the piecing of the quilt with gorgeous machine quilting makes me very satisfied! It’s fast and I can come up with any shape or design that pops up in my mind. And you can see a quilter’s handwriting whenever you look at FMQ. I love every aspect of making a quilt, from designing it to finishing it. I happened to come across both Angela’s and Christa’s blogs/websites around the time they started and I’ve followed, and of course, I still follow them along each of their “public” journeys – what a joy it is! Something Christa said in the interview reminded me of something a quilt instructor talked about in a class I took. It was a retreat class in art quilting – the project was designing and making quilts to represent the elements of air, water, earth and fire. Our instructor asked the question, “Why would you want to give your quilt to someone else to quilt it and finish it after you’ve invested all of this time designing, re-designing, making samples to see if the technique you wanted to use would work well, re-making samples and finally making the quilt?” As she continued, she urged everyone to take the challenge and spend the time learning to “quilt the quilt” so our hands would be completely represented by our quilts. That was an important threshold for me to buckle down and get on with machine quilting. 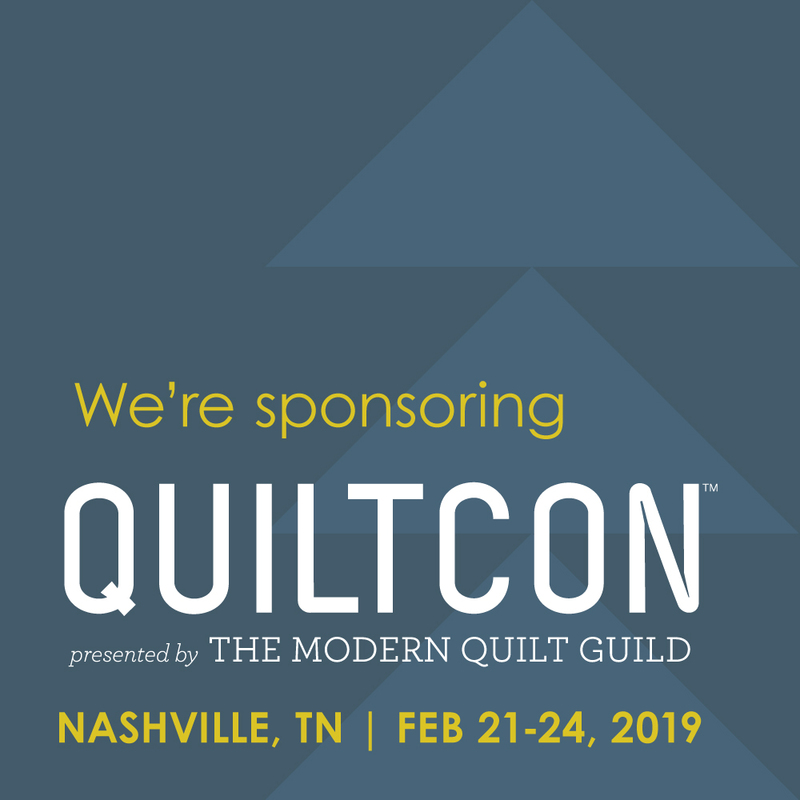 This comment is by no means meant to diminish longarm quilters who make their living by quilting customer quilts – we need all of you! I am just so appreciative that quilters like Angela and Christa write such excellent books so we can learn and continue to learn! I am doing pretty good with straight line quilting, but would love to start free motion quilting. Your book looks great and your quilts are Devine. What I like about quilting is the chance to be creative. It is fun to see what the outcome is and the chance to make something that you can enjoy! I just love creating something beautiful! I love free motion quilting, so fun and relaxing. Beautiful too! Love the Aurifil colors you choose. I also quilt on a domestic machine. Congratulations on your success. My favorite thing about machine quilting is the freedom of free motion. I love to just “draw” with my sewing machine and write words and draw pictures with thread onto my quilts. When quilting with my walking foot, it’s almost meditative. Great interview and awesome colors! She was such a great and kind teacher. Her class was very informative. Before I retired, I quilted bigger quilts by check. Now, with a more limited income, I am doing all my quilting on my Bernina. Like Christa, I am stretching my skills, and am proud of my successes, and determined to improve. I love being able to finish my own quilt and use designs I want-love the creativity of it. favorite part is that it gets done quickly and no checkbook needed….. Being in control of my quilt from beginning to end. When I learned how to make quilts, we did everything by hand, including piecing! And hand-quilting took a long time. I like how machine quilting allows me to finish a quilt more quickly, and I enjoy the savings over sending it to someone who has a long-arm. I like how the quilting makes it my own. it’s the finishing touch. I’m a newbie at FMQ, so use my walking foot more, but I want to get proficient at FMQ. I need to practice! I love the feeling of accomplishment when machine quilting. Yes, it can sometimes be daunting or tedious, but when you’re done you’re almost there! Quilting allows me to show love to special people in my life. The colors of these new threads are beautiful! I like machine quilting because it feels so good to get a project completed and to see my finished work. Machine quilting is the final cherry on top! I love getting texture from quilting and there isn’t anything much better than a fresh crinkly quilt! I love that I can complete my quilt. I also love the motion of moving it under the needle. My favorite thing about machine quilting is the sense of accomplishment! While my friends are quilting by check, I am adding one last touch to my quilt to make it my own! I can’t sing, dance, draw, or paint but I am good with color. Quilting allows me to express myself in a medium that I enjoy. Besides, what’s not to love about quilting? I love the freedom of machine quilting – lots of things to do, endless supply of threads = heavenly!!! I like choosing the design I’m going to try to quilt. But my favorite thing is the way the quilt feels after it’s quilted! I love machine quilting, as the designs can vary so much, and practically no errors. My favorite thing about machine quilting is I get more quilts done than I did when handquilting. It is also very relaxing. Really can not answer this question. I am new to machine quilting and need much direction, hope to win one of your books to help me! Love quilting whatever makes me happy! I love the texture that I can get from using different thread weights in machine quilting. I love that your quilt can be different than every other one. It is the creative process that is the most fun. I also love the colors involved. I love machine quilting because I get a huge sense of satisfaction from knowing that every single step in the quilt-making process was done by me. Plus, it’s so fun! I love how machine quilting adds life and texture to a quilt and makes it look more complete. My favorite thing about machine quilting is that there are endless possibilities of what to do to finish a quilt. My favorite thing about machine quilting is that I don’t have to pay to have it done! I also enjoy being able to finish it by myself, without having to wait for the quilter to get to it. I’m still intimated by machine quilting, so at the point I just sew straight lines. I hope to improve my skills and try free motion quilting. Quilting is the finishing that turns a good quilt into a great quilt. I love the look of the stitches, when they are perfect, and the speed of completion! Machine quilting brings a quilt to life! Christa amazes me! I met her at our Modern Quilt Guild in St George and I love her – “you can do this” attitude about machine quilting. Her book and blog have helped me so much! I love coming up with the design that I will machine quilt. My favourite thing about machine quilting is that I can customize the quilting design to exactly what I want. looking forward to the new book: I need all the help I can get with machine quilting!! 🙂 my favorite thing about machine quilting is that I can actually finish a quilt!! I don’t have any favorite thing about it as I am so new to it. I guess in my head I think it will be faster than hand quilting so I can finish more quilts. Love doing the whole quilting process myself. I am fairly new to quilting so I’m not so good at machine quilting – I need lots more practice but I do like to say that I made the whole thing myself!! I have just started free motion quilting and what I love the most about it is just so much fun. When I finally dove in and just started on it I found out that I totally loved it. I like being able to get straight lines with my walking foot. I’m a slow quilter so don’t have the time to perfect my free motion skills. I like to be able to say I made the quilt…not just the top, but all of it. I love machine quilting, as it helps me finish my projects. If I have to hand-quilt or send them out to be long-arm quilted, they sit around a long time. My go to design is stipple quilting, but I’m trying to practice more designs and get better at other patterns that will better reflect the style of the quilt. I’ve never sent my quilts out to be quilted. What I like best about machine quilting is the feeling of accomplishment I get by doing the entire quilt myself. I love the artistic ending to making a quilt – the quilting! thanks! I love the satisfaction and sense of accomplishment when the quilt is finished. Thanks! I am just learning to machine quilt, so I’ll get back to ou on my favorite thing about it. My favorite thing about quilting is the feeling of accomplishment I get from completing a quilt. Christa’s designs are so refreshing. Like her, I use 50 wt. Aurifil for all stages of the quilting process. I will definitely be using the technique in Little Man’s Quilt, as I just started doing straight-line quilting and am often at a loss what to do! I would love to win the thread and a book! I am new to machine quilting and have only done walking foot quilting. I am practicing free motion but don’t feel ready to use it! my favorite thing about machine quilting is deciding how I want the end result to be.,it is so freeing and allowing my creative juices to flow. I like machine quilting because of all the different designs there are. I love how machine quilting makes the quilt look so much better!!!! Plus I find it relaxing! My favorite thing is being able to finish my own quilts, and loving the process is a close second. The thing I like most about machine quilting is speed. Being able to finish and do the whole project myself in a reasonable amount of time. I can also customize the quilting the way I want it. I love piecing the blocks and of course that last binding for the joy in the finished quilt is still my favorite part ! My favorite part about machine quilting is looking at the quilt and deciding what I could do to make the quilt look even better. I love the idea of combining the walking foot quilting with the free motion. So far, I’ve tried to do the WFQ, with so-so results! The broken lines on the Little Man’s Quilt may be just what I need to try. You inspire me, Christa! Love to win one of your gifts. Thank you for the opportunity. I love the way quilting transforms my quilts…and love using Aurifil as my mainstay thread. Thanks for sharing the giveaway. with machine quilting I can finish in a while a quilt! Like Christa, I use a domesticate sewing machine for my quilting, and what I love is the transformation of the flimsy to a quilt, something magical happens as it is quilted! 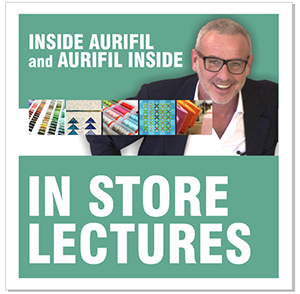 I love Auriful and I love the idea of one collection for all my colored fabrics! My favorite thing about machine quilting is the texture it adds. I love that it’s like meditation to me!! I have no patience to hand quilt so it’s machine quilting for me. I tend to use the walking foot the most but I am slowly getting better at FMQ and my goal is to be proficient with that. I like the Aurifil threads because I don’t have the thread breakage I seem to have with other brands. I’m not sure I have a favorite part to machine quilting. I am still trying to become more proficient at FMQ. I keep practicing, practicing practicing, hoping that some day I will get it.. I like knowing that I made it all myself. And sometimes it actually looks good. I enjoy using walking foot and fm quilting on my small tomispd-size quilts, generally using 50wt Aurifil in colors that blend with the fabrics. Since I cannot comfortably manage larger quilts physically, I am very happy to have a long armer perform her magic on them so I can get them finished and given to friends and family! Love to machine quilt and love aurifil thread. Thank you. I have a hard time choosing what to quilt on my quilts but I like to do it myself from start to finish (okay I do love my mom to help me get the binding on). I love fabric and want the fabrics and the piecing to shine. Therefore, I work hard to find a style / pattern for my quilting that is interesting but doesn’t take over. Christa has some lovely ways to do this! I love that it is relatively fast and the beautiful design!! i love being able to finish a quilt myself the way i want it. My favorite thing about machine quilting is the speed!! I know how slow hand quilting can be and being able to zip it through a machine is sooo much faster!! I love being able to zip through a quilt! I love the colors in your thread lines. Quilting my own quilts is so relaxing. My favorite thing is how fast you can finish a beautiful quilt! The feeling that I made the quilt and quilted it too. All my handiwork. Plus, it is fun to FMQ! I think the best thing is I can do it all myself… so the quilt is really a work of mine..
Just spend a whole week practicing machine quilting. Love that I am in controll and can finish a quilt myself. I think the machine quilting is absolutely beautiful. It’s so perfect, yet not. I love it. I like the fact that I completed the entire quilt, it puts my signature on it. My favorite thing about quilting is is using motifs to highlight my patchwork. I love being able to make a project all my own from pattern and fabric selection to quilting. It gives me such a sense of accomplishment! I love the freedom of choices in quilting and the texture it gives to the fabric! I like saving money over having someone else quilt it! I generally quilt only small things on my machine; I just don’t enjoy moving a larger quilt around since I don’t have a large table or set-in machine. Some day I will have the perfect set up! My favorite part of machine quilting is just disappearing from the real world and reappearing refreshed. I’m rather new at doing my own quilting, but I enjoy watching the quilt become more finished with each session at the machine. New Beautiful Wallpapers every 35 minutes. Get it totally FREE!